Tamarix is a genus of 54 species of deciduous shrubs and small trees from coastal sites and dry or marshy, often salt rich areas inland, from W. Europe and the Mediterranean to E. Asia and India. 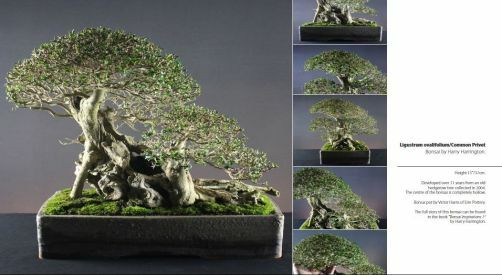 As bonsai, Tamarix juniperina and Tamarix pentandra are most commonly used. Both of these species display attractive, feathery foliage typical of the genus. Their foliage consists of small scale- or needle-like leaves and plume-like, often leafy racemes of small flowers. Tamarix are known as being an invasive plant in parts of the US where they are thought to cause damage by drying out wetland areas. Tamarix, like Willow species, can be propagated by placing thick branches or trunks in water for a number of weeks until they take root. POSITION Full sun but shade from midday sun in Summer. Provide some frost protection when temperatures drop below -5°C in Winter. REPOTTING In mid-Spring as buds extend. PRUNING Pruning should be carried out at the right time for each species as some Tamarisks flower on old wood while others do so on growth made earlier in the year. Spring flowering species produce flowers on old wood and require pruning immediately after flowers have faded. Late-Summer flowering species produce flowers on wood produced earlier in the season and should not be pruned back until late Winter. Many Tamarisk bonsai are styled with weeping foliage and this requires wiring growth downwards as it extends. PROPAGATION Take hardwood cuttings in Winter or semi-ripe cuttings in Summer. Air layer in late Spring. STYLING Informal upright forms and cascades with weeping foliage in small to large sizes.